Works shown by The Living, (Non)human (Non)sense Collective, Megan Valanidas, and Jen Bervin. Work shown by Diana Scherer. Works shown by Uli Westphal and Center for Genomic Gastronomy. Works by Fabienne Felder and Ani Liu. Works by Diana Scherer and Modern Meadow. 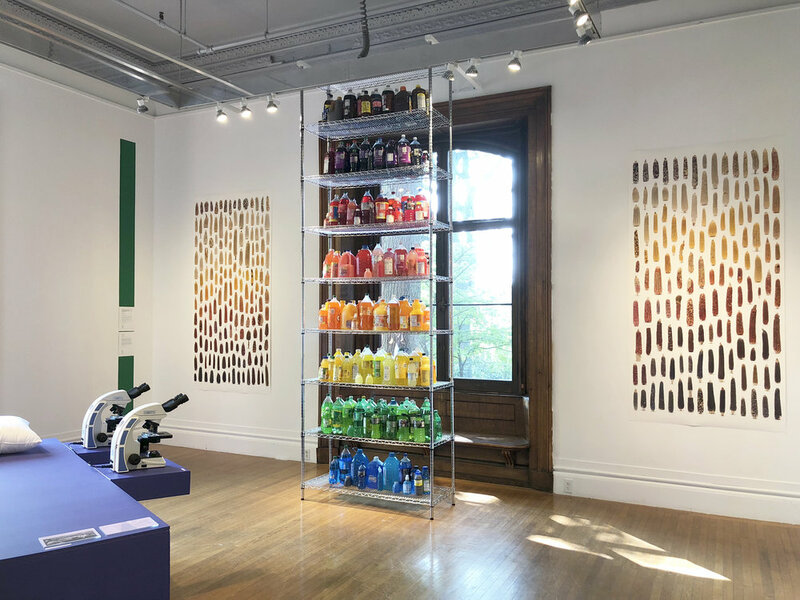 Biodesign: From Inspiration to Integration presents works of contemporary art and design that help us to reform our relationship with nature, moving it from a destructive to a more integrated, mutually beneficial model. 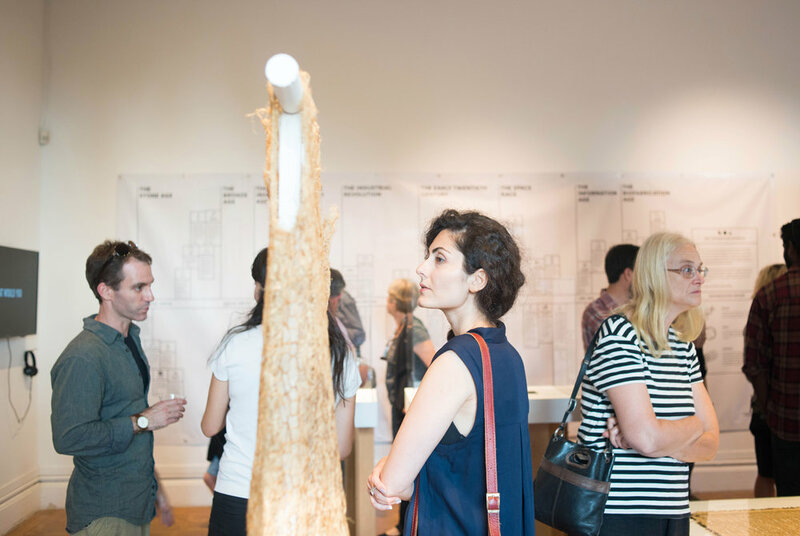 These projects illuminate emerging practices in biodesign, an approach that involves partnering with biological systems to improve the ecological performance of the built environment, and bioart, which creatively reflects on our shifting definitions of life, nature, and identity. A central feature of many of these works is their high regard for the non-human species with which they are made possible, casting them as collaborators rather than mere materials, machines, or tools.